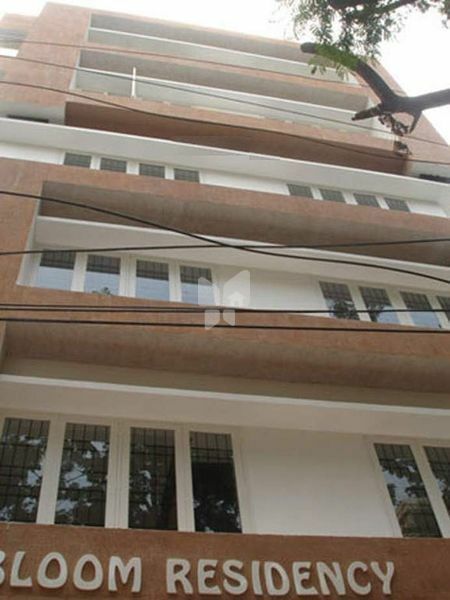 How Far is Vinayagar Bloom Residency? Vinayagar Bloom Residency is one of the popular residential developments in VIP Road, neighborhood of Visakhapatnam. It is among the completed projects of its Builder. It has lavish yet thoughtfully designed residences. Main Door/All French Doors Teak Wood (Panelled) with melamine polish on both sides and antique brass handle and Godrej lock. All hinges and fasteners shall be of brass. 5. Sink : Granite/Stainless Steel sink with Drain Board. 6. Toilets : (To have small windows with grill) Parry ware sanitary ware and Jaguar fixtures (Premium Quality) and doors with readymade flush doors. One Wash Basin (coloured) with pedestal. 2. 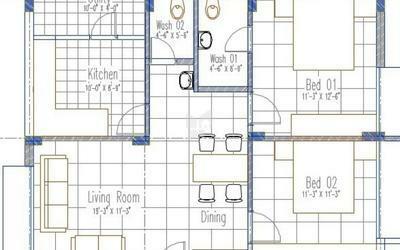 Kitchen : 3' Height Concept Tiles of kazaria /johnson Make or equivalent. All drops + Hinges (brass) to be powder coated. All windows and doors to have powder coated hinges and all drops and handles. Living Room : Three Light Points, Two Fan Points, One T.V., One Telephone & Four 5A Sockets. Dining Room : Two Lights Points, Two Fan Points, One 15A Socket For Fridge and Four 5A Socket. Kitchen : Two Lights, Two 15A Sockets & three 5 A Socket for Exhaust Fan. Balcony : One Light Point, One fan point in each Balcony. 4. Grills : Black Enamel Paint. Only provisions for cupboards with loft slabs at lintel level shall be provided by the builder. It is the responsibility of the owner to get the cupboards furnished at his own cost. Municipal Water Provision in Kitchen. 8 Passengers Lift (OTIS). Corridor Floor near the lift and the stairs may be of natural stone. 6 Points in each flat along with common lighting, Pumps & lift.